Scott Pickett reckons the best pairing for a cold beer is a bolognese toastie. 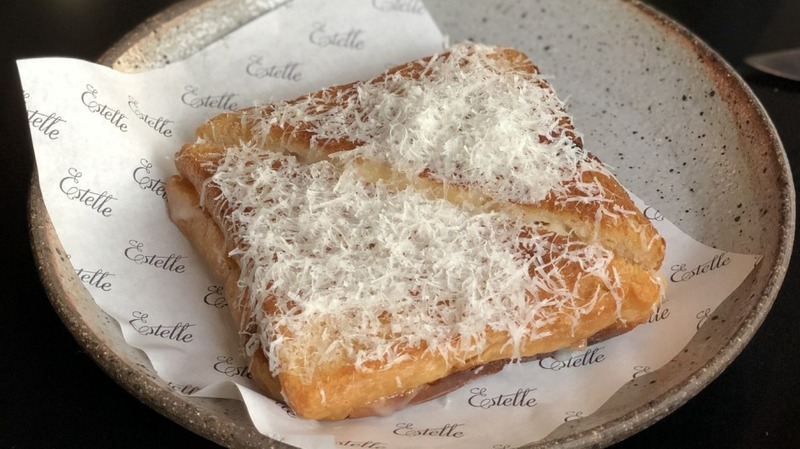 Cheffed up and funked up with wagyu mince and kimchi and buried under grated parmesan, it was one of the first things to make the bar menu at his just reopened Estelle. 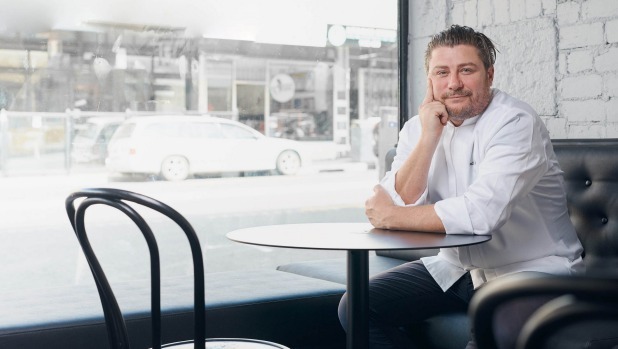 Pickett closed his Northcote fine diner, Estelle by Scott Pickett, for good in August 2018, and Estelle Bistro followed in late January. In the two weeks since, he's turned the former bistro into a bar and what was ESP into a restaurant, and united them under the original name, Estelle. The open kitchen that was the centrepiece of ESP now services the entire Estelle. The restaurant is pitched somewhere between ESP and the bistro, with a more casual menu of dishes such as hand-rolled macaroni cacio e pepe, lamb tartare with fermented peppers and almond, and half an eggplant, roasted and blitzed with brown butter then served from its skin, topped with fried quinoa. There is a five-course chefs tasting menu option for $90, too. In the bar, it's mostly about the snacks. Alongside the toastie there are oysters topped with house-made kombucha jelly, sardines on toast, flatbread with a pinenut cream and puffed veal tendon sprinkled with sesame and coffee powder, an Estelle signature. "I'm going back to basics in terms of flavours and techniques and clarity of dishes," says Pickett. "It's what I want it to be. If I go to a bar and want to have an ice-cold beer, then I want to have a bolognese toastie with it." Aesthetically, the bar-that-was-the-bistro has seen the biggest change. Brickwork, exposed on both walls and painted white, contrasts with the black ceiling and floor, and the bar has been replaced with a smaller copper bar. The wall that once separated the two spaces has had a doorway and large windows installed. The white exposed brick continues on the bistro side, and there are new chairs and stools, although echoes of ESP remain in the Christopher Boots light fixture. The courtyard dining room has also "had a spit and polish". "ESP ran for 3½ years and it could have been there for 10," says Pickett, "but I thought, 'Let's just change and mix it up again'. It's the continued evolution of the Estelle, really." Open lunch Fri-Sun; dinner daily.